This April Wellbe took care of a nice group from Sweden, with people coming from both the south of Sweden and the Stockholm area and we had great time. An amazing group took the breath away from the local hosts and organizers because of their enthusiasm and energy. Although at first they planned to have some relaxing time and just look after themselves in peace and quiet it turned out that the true interest for majority was to take the opportunity to spend an active week in the special, beautiful seaside surrounding of Opatija and the Kvarner bay. Instead of having more leisure time near the pool and sunbathing, they soon understood that they can have all this and more by moving around and, especially, by putting more demanding tasks on their bodies that clearly liked being active. The weather was almost summery warm and some of our visitors took a swim in the sea. Not chilly, they told me later. One of the special days of their stay was a half-day trip to the nearby mountain Učka, organized by the group of the local Red Cross volunteers. 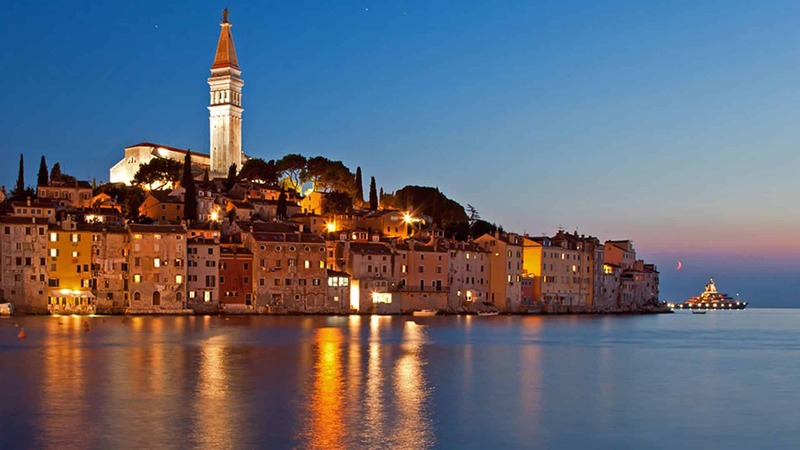 Učka is „the head of Istria“, standing proudly above the clear blue sea while on the other side it looks over the hilly Istrian inland and, further on, towards the Alps. Our cheerful group set out up the mountain led by a Croatian Mountain Rescue Service guide which means they were in safe hands. Having fulfilled this first and the most important condition they were able to enjoy the walks and views as they explored the mountain on that warm April afternoon. „Lovely guided tour in the national park of Ucha with amazing views over the Istrian landscape. Wonderful nature with valleys, beautiful trees and a big variety of flowers. Beautiful and untouched nature. During the walk, we were impressed by joyful elements of art made in colourful painted stones and other art expressions. We made a three hours tour. The walk varied from flat ground to up and down small hills. After this I decided I have to take this pretty walk myself soon. While the impressions are still settling down as the group returned to Sweden, I just want to thank all of them for the great time and encouragement we all got from promoting and creating real experiences from our many nice stories. I am grateful for the time they spent with us and for sharing those moments of relaxation and openness that brings us closer to nature and to ourselves.